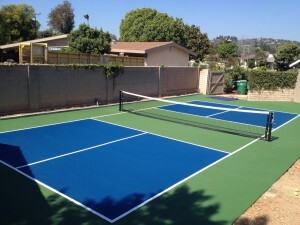 SportMaster produces Pickleball court paint that is ideal for indoor and outdoor pickleball court surfaces. There are 9 standard colors to choose from and the coatings are factory-mixed with fine silica sand for safe, textured playing surfaces. These paint coatings are best installed by professional sport contractors, but can be applied by Do it yourself crews, as well. Each coat requires .07 to .09 gallons per square yard (100-125 Square feet, per gallon) – Depending on pavement and surface porosity. 100% acrylic pickleball paint coating designed for pickleball and multipurpose athletic and recreational courts on asphalt or concrete surfaces. Color Concentrate With Sand is a 100% acrylic paint coating designed for Pickleball Courts and other sport and recreational pavement surfaces. Pickleball court surface must be cleaned entirely of dirt, debris and all loose materials. Repair of pavement surface defects, puddles and cracks must be completed prior to application. Acrylic Crack Patch, Acrylic Patch Binder, or any of our 100% acrylic crack fillers can be used to repair cracks in the pickleball court before coating. All repairs must be flush and smooth to adjoining surfaces. New asphalt surfaces must cure 14 to 28 days prior to application. 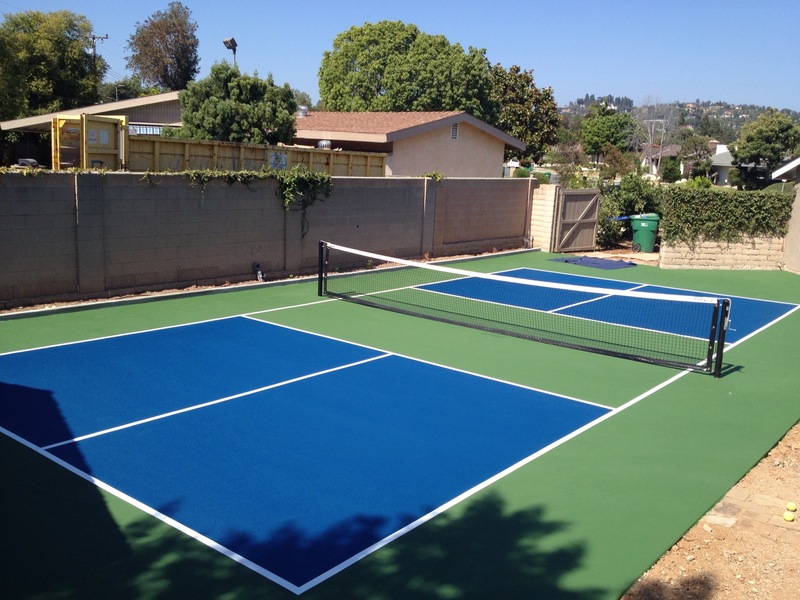 It is recommended that any uncoated asphalt surface receive one or more coats of Acrylic Resurfacer to fill surface voids and maximize the coverage of the pickleball court paint. Existing pickleball court surfaces should also receive one coat of Acrylic Resurfacer to hide surface repairs and provide the ideal texture to receive the pickleball court paint coatings. New concrete surfaces must cure 28 days prior to application. Concrete surfaces should have a medium broom finish or similar roughened texture. They must never be steel troweled. Etch surface with Muriatic or Phosphoric Acid and apply SportMaster Acrylic SportMaster Adhesion Promoter prior to Acrylic Resurfacer and pickleball court paint. Make sure to follow the SportMaster engineering specification for “color coating concrete” when planning to build or paint a pickleball court surface. Note: Mix coating material to a smooth, uniform consistency. Keep well mixed prior to and during application to prevent the sand from falling out in the mix. If you want a two-color pickleball court, you need (1) 5-gallon pail for the inside, non-volley zone, and (2) 5-gallon pails for both outside areas. Optional* 30-gallon plastic keg with lid, for mixing materials with water. Asphalt Surface: Double the amount of C1330P Acrylic Resurfacer with sand, from the resurfacing kit above, in order to fill the extra porosity of asphalt. 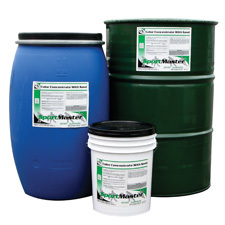 Depending on the asphalt porosity, you may need additional pails for coverage. For more cushioning, you can apply additional coats of CushionMaster II. It will take approximately 3 pails of CushionMaster II, per coat. To get a quote on a pickleball court paint kit, please call (800) 395-7325 for your nearest SportMaster location or Click Here to Send us an E-mail with your request. Apply Color Concentrate With Sand using a soft rubber sport squeegee for best results. A paint roller can also be used, but may not provide a uniform texture when compared to squeegee application. Air and surface temperatures must be above 50ºF (10ºC) both during application and for a period of at least 24 hours after application. Allow each coat of material to dry thoroughly before applying successive coats. Pickleball court paint typically dries within 45 minutes to an hour in the full sun, depending on temperature and humidity.